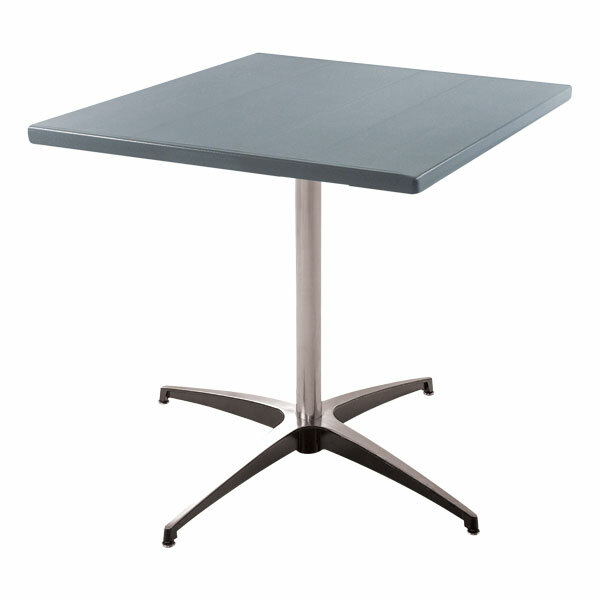 Aluminum tabletops are lightweight and extremely sturdy. Since they're so durable, they usually come with a lifetime guarantee. Plus, aluminum is a recyclable resource. Laminate tabletops are a great choice if price is an issue. High-pressure laminate is bonded to a particleboard or plywood core. These are more affordable than aluminum tabletops and typically offer guarantees from five to 10 years. A standard, 29-inch high table is the most versatile choice, because you can use it with most of your existing school or office chairs. Adjustable tables, which are usually more expensive, switch from stool- to standard- height with the use of a hand crank or hydraulic lever. You'll even find adjustable-height ADA pedestal tables for students in wheelchairs. 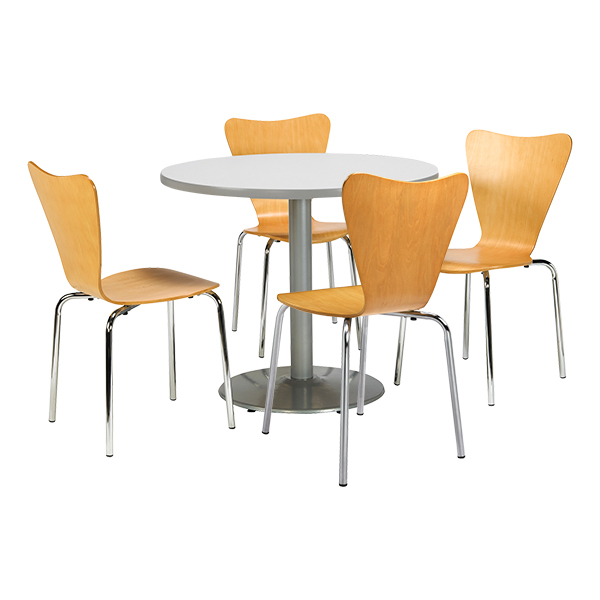 Most lunch and café tables are stationary, but you'll find some that fold up, nest together or disassemble to make storage easier. If you'll be changing your room layout often, you might want to consider one of these types of tables. Knockdown tables disassemble into three pieces; the top, the base and the column. These components take up less storage space than an entire table alone. 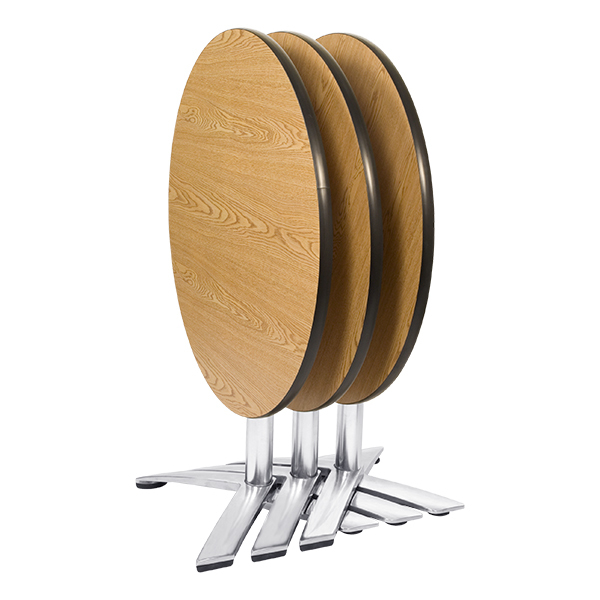 Click here to see our selection of pedestal tables. If you still have questions after browsing, our sales team is happy to help—call 1-800-260-2776.